Gathering of Beauticians organised by National Beauticians' Union of Nepal (NABUN) has been concluded in Bharatpur Metropolitan. The Gathering has formed eleven member Bharatpur Metropolitan NABUN committee under the Presidency of Cde. Bal Kumari Rana Bhat . Addressing the programme,as Chief guest, NABUN General Secretary Cde. 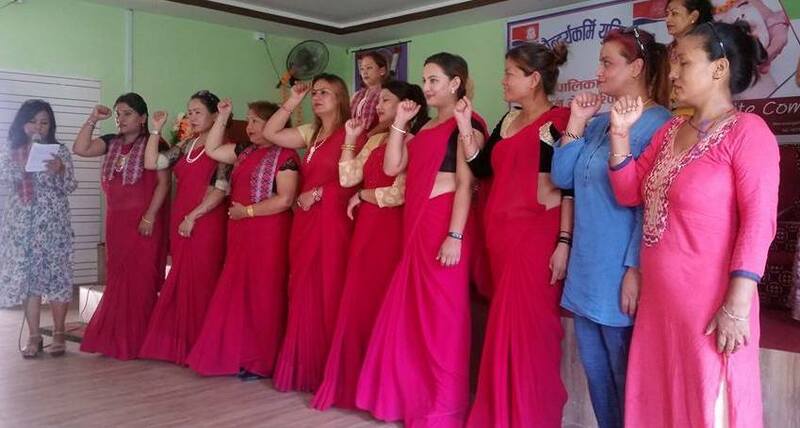 Puby Gurung highlighted the NABUN campaign for the rights of beauticians. Special guest of the programme, Cde. Arjun Aryal GEFONT Province no 3 member informed about the structure,policy and programme of GEFONT. NABUN central Committee member Cde. Anju Gurung,Bara district committee President Cde.Bina Parajuli and Kaski district committee vice-President Cde. Nur Gurung also addressed the programme.